(Photo Courtesy/Mike Beiermeister) Adrian Alexander and Lucas Moquin, teachers of the new 'Dance Academy,' prepare for their upcoming informational meeting on Tuesday. Alpena, Mich — A new dance program is coming to the Alpena area, and it’s geared toward kids and adults looking to enhance their skills for theater performances. Thunder Bay Theatre is rolling out their first ever ‘Dance Academy’ as part of their TBT2 program. 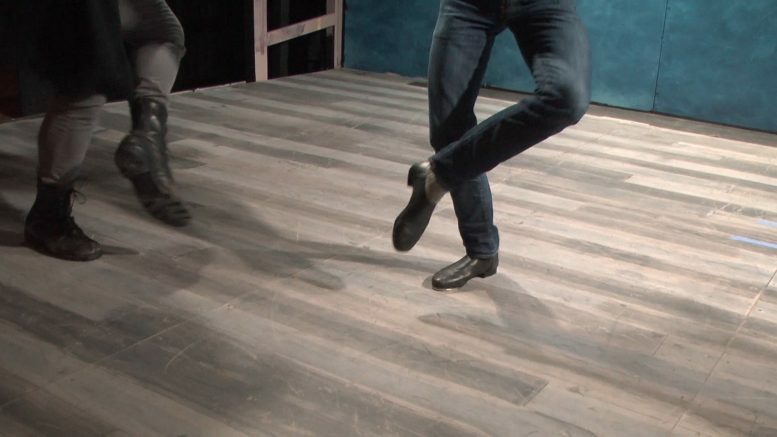 Instructor’s Lucas Moquin and Adrian Alexander will be teaching different forms of dance for those interested in using skills for musical theater performances or folks who just want to learn. “It ends up being a lot of fun, and you can do a lot with different styles of dance to tell different stories,” said Instructor Lucas Moquin. Whether it’s hip–hop, modern, or musical, the focus for dancers will be on one important quality, storytelling through the art of dance. An informational meeting and drop in class takes place next Tuesday night (January 22) at 6:30 p.m. at the Thunder Bay Theatre. High school and college students are encouraged to attend.